The Muslim Student Awareness Network (MSAN). Founder of the Facebook group that first called for demonstrations on January 25, Wael Ghonim has become one of the leading voices of the Egyptian revolution. His emotional interview after twelve days of incarceration by the Mubarak regime revitalized the democratic movement. 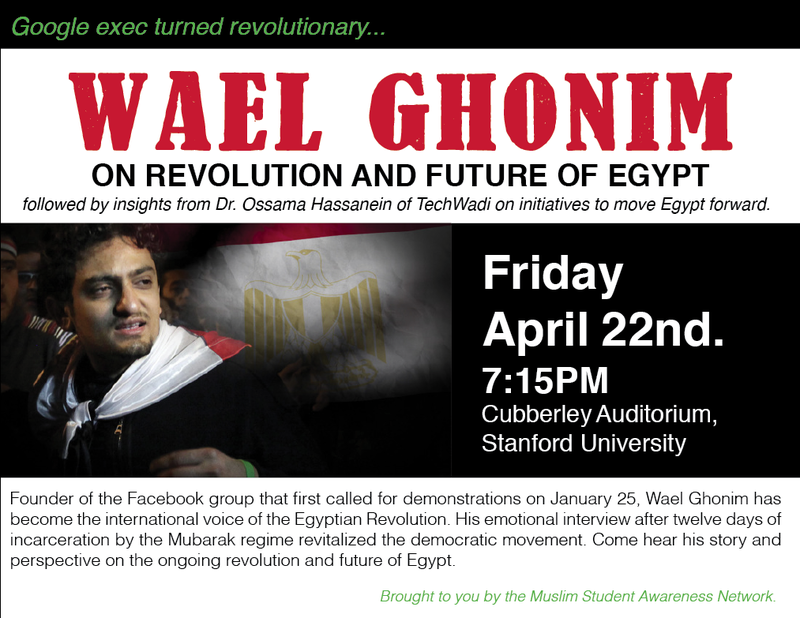 Come hear his story and perspective on the ongoing revolution and future of Egypt.